The Musical Instrument Museum (MIM) opened in April 2010 in North Phoenix, just minutes from Scottsdale, AZ. This unique museum celebrates music by exhibiting instruments from every country in the world. There are more than 15,000 instruments and objects in the collection, with thousands of them displayed for the public to enjoy in five geographical galleries and an Artist Gallery. 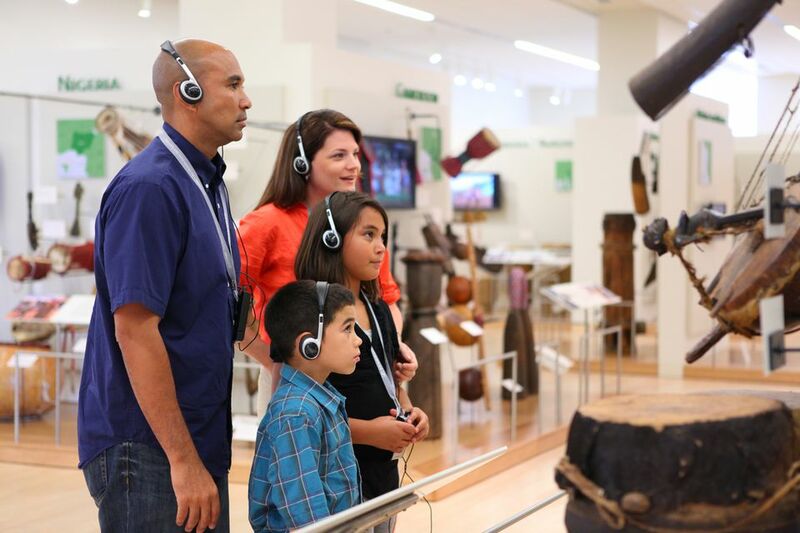 Musical traditions are shared and experienced here; not only can museum guests view the displays, but they can touch and play some of them, learn about how they work, hear how they sound and attend workshops. There are hotels and resorts in North Phoenix close by. The museum is open seven days per week including Christmas Day and New Year's Day. Hours are 9 a.m. to 5 p.m. (check for special hours on holidays). The Musical Instrument Museum has permanent collection galleries, galleries for special exhibitions and hands-on experiences, a performance auditorium, an open conservation laboratory on view to museum visitors, a recording studio, a library, a restaurant, and a gift shop with music and music-related items. From the website: "Music is something all humans share, a source of beauty and comfort in our daily lives, a means to give voice to our joy in times of celebration and a powerful force that brings us all together. Music is the lifelong friend that we all have in common. The Musical Instrument Museum (MIM) celebrates music as all of these things — a sustaining human gift and wellspring of global culture." The Musical Instrument Museum exhibits musical instruments from all over the world. Concerts, workshops, and programs relating to the diversity of music are also offered at the MIM Music Theater. The museum is located in North Phoenix, less than 1/2 mile south of the Loop 101 on Tatum Blvd. If you are coming from the south on SR51, you can exit at Union Hills and go east to Tatum Blvd, then north on Tatum to Mayo Blvd. Free parking is available. This museum is NOT accessible by Valley Metro Rail. In addition to being able to visit galleries showcasing thousands of musical instruments from all over the world, MIM has a variety of concerts and performances in the MIM Music Theater. You can use this seating chart when you are purchasing tickets. MIM Music Theater is a beautiful and intimate venue with wonderful acoustics. Here are some things that you might want to know before you go. MIM Music Theater is located inside the Musical Instrument Museum; you'll use the main museum entry doors and you will be directed to the theater. MIM Music Theater is beautifully designed. There are only 299 seats in the theater. The rows are in a stadium formation, affording a great view of the stage from every seat. Seats are roomy and comfortable. There is ample leg room. The best seats, in my opinion, are in rows three, four and five where, depending on whether the performers are standing or sitting, you will be sitting eye-to-eye with them. Accessible seats are in Row 4 and in the rear box. While refreshments are sold in the lobby, no food or drinks (except bottled water) are allowed in the theater. The Museum Store is not always open before or during performances, but many artists do have merchandise for sale before and after the concerts outside the theater. The museum is not open during evening performances. In addition to musical performances, workshops and seminars may be held in this venue. The Box Office is located in the main lobby of the museum.